Keep the feel of Spring and Summer in your house all year long with this decorative macramé flower. This is an original design of mine. It measures about 12 inches across and could be hung on a wall or placed on a dresser or table underneath a bowl, plant or candle (plant not included). They also look very nice paired with one of my macrame baskets (sold separately). 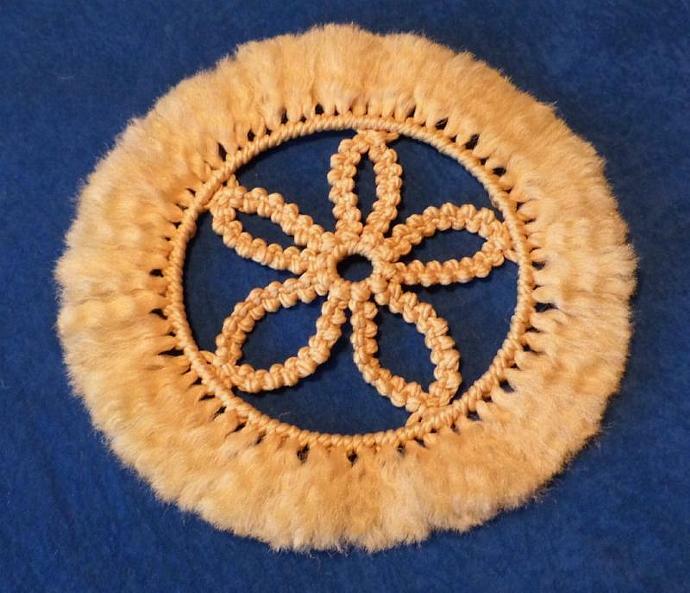 The flower mat sells for $11.00 plus $6.00 for standard shipping to the United States only. Please review my shop policies before placing your order. Returns cannot be accepted. Thanks for looking!